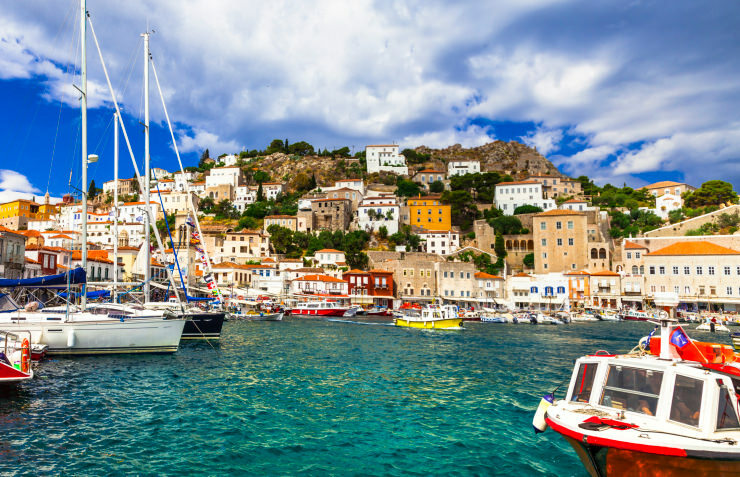 Samos is an enchanting and mysterious island that has captivated people for centuries. In Ancient Greece, it was a very profitable city-state that was known for its fertile lands and wine production. The mathematician and philosopher Pythagorus was born on the island, and is also a proposed birthplace for the Aesop, who is most known for his fables. However, whether or not he actually originated in Samos is up for debate. Today, the island is a welcoming place for visitors. The lands are still fertile and to those approaching by ferry, the island looks wild and filled with mystery. Of the Greek islands, it has some of the densest forests and they’re easily visible as you first arrive at the port. The island does have an airport, so if you arrive by airplane you’ll need to find another way to glimpse the forests that the island is most known for. Even though the island does get a lot of tourists, some of the island is still unspoiled because of how difficult the terrain can be. If you’re adventurous and want to seek these villages out, you’ll find the locals to be welcoming and eager to accommodate you. Since Samos has a long history, there are plenty of archaeological sites scattered throughout the island. If you don’t have time to visit them all, be sure to visit the island’s Archaeological Museum to get an overview of the history not only of Samos, but of Ancient Greece itself. This museum houses one of Greece’s largest collections of artifacts. From there, you can visit individual sites such as the Temple of Hera, the Ancient Theater, and the Eupalinio Tunnel, which is a stunning example of the creativity and technical ability of the ancient people. Even though the historical aspect of the island is interesting, it isn’t what really draws people here. 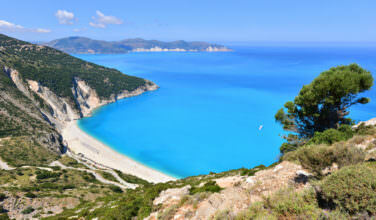 The beaches are stunning and are considered amongst Greece’s most beautiful. People who travel here are always eager to sit at one of the many beaches and enjoy the sun and crystalline Aegean waters. 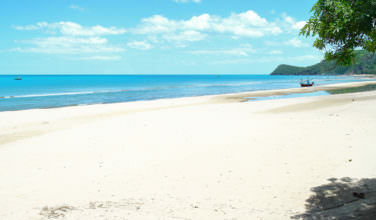 Tsamadu beach is surrounded by a beautiful forest and is considered one of the islands prettiest. Potokaki is a pebble beach that has especially warm waters and is a great place for lounging. Lemonakia, a great family beach, is convenient to Kokkari, a popular resort. Once you’re done exploring the historical side of the island or lounging at one of the beaches, it’s time to find a place for dinner! The cuisine on Samos is much like the cuisine in the rest of the country and uses only the freshest local ingredients. 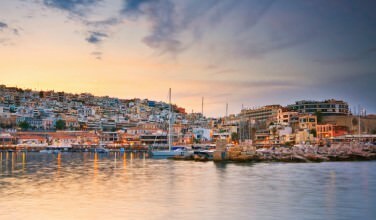 Since it’s an island, seafood is an important aspect of the culture and you will find many seafood restaurants and fish tavernas, especially near the water. After dinner, you can experience some of the nightlife and local culture. There are no shortage of bars and tavernas, especially in the resort areas. If you want to spend some time relaxing at a smaller Greek island that has plenty of resorts, Samos is the place for you!